VL Deck Drops Off New Track "Bargain"
Home>New Songs>VL Deck Songs> VL Deck Drops Off New Track "Bargain"
VL Deck drops off his latest track "Bargain." VL Deck drops off nothing but anthems with each one of his releases. The rapper's been grinding for a minute but this year, it feels like he's brought things to a new height. Since the top of the year, VL Deck's linked up with some major artists including 21 Savage, Young Scooter, Youngboy Never Broke Again and more. He's currently getting ready to drop a new project and today, he drops a new single off of it titled, "Bargain." VL Deck returns with a brand new banger titled, "Bargain." The rapper's new track serves as his latest single off of his upcoming mixtape, Project Music which is expected to drop next week. The raspy and aggressive voice comes through clear over the hard-hitting production. 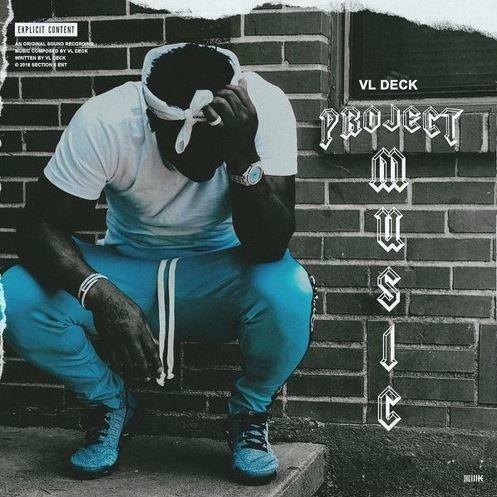 VL Deck's new single got us excited to hear what he has up his sleeve on Project Music. SONGS VL Deck Drops Off New Track "Bargain"